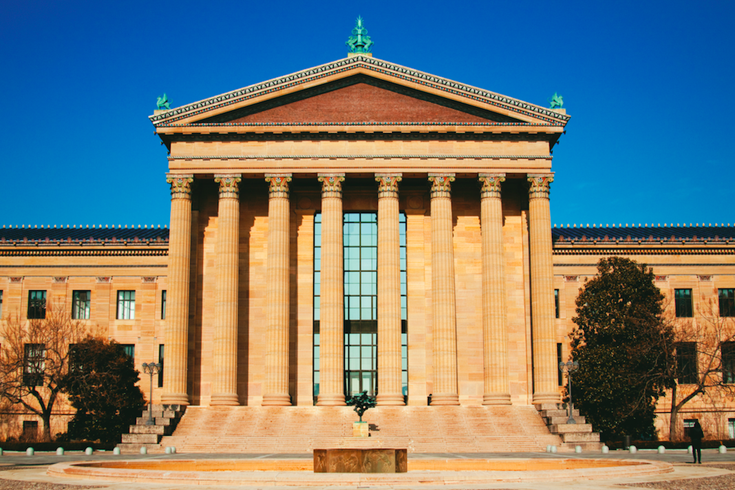 The Philadelphia Museum of Art has an astounding art collection. There are more than 200 galleries housing more than 227,000 works in media, including photography, sculpture, paintings, textiles and more. Learning how to observe and analyze works of art could improve the descriptive ability and diagnostic skills of future clinicians, according to new research from the University of Pennsylvania, the Children's Hospital of Philadelphia and the Philadelphia Museum of Art. Following up on studies that make similar assertions about the value of art education in medical training, researchers randomly assigned 36 first-year medical students to take six 1.5-hour art observation courses at the Philadelphia Museum of Art. The courses, taught by professional art educators, employed the "Artful Thinking" teaching approach to emphasize introspection and observation before interpretation. Sessions included instruction in front of works of art, group discussions and training in visual arts vocabulary. The 36 medical students, part of a larger control group, all took an observation skills test both before and after they attended the art courses. Their assessments included description and emotional recognition testing of retinal and facial disease photographs. Those who took the art courses showed significant improvement on their assessments compared to the control group. "The skills I learned studying fine arts in college are invaluable to me now as a physician," said lead author Jaclyn Gurwin, an Ophthalmology resident in the Scheie Eye Institute at the University of Pennsylvania. "I saw the impact art education had on my approach to medicine, and I wanted to recreate that experience for others in the field." A questionnaire completed after the study found that the first-year medical students had already found meaningful ways to apply what they had learned from art observation to their clinical studies. "The results of this study are incredibly encouraging, showing that art observation training can improve medical and ophthalmological observational skills," Gurwin continued. "We hope that the improved observational abilities from this training will translate to improved clinical effectiveness, empathy and, ultimately, will make better physicians." Many medical students enter their training without a solid grasp of how to handle visually complex situations. These scenarios require attention to both clinical details and the emotional and sensory responses of patients. The researchers believe art observation training could aid students pursuing a variety of medical disciplines, from ophthalmology and dermatology to radiology. As a result of the study, published this month in Opthalmology, the Philadelphia Museum of Art will continue to offer this course to first-year medical students during the fall 2017 semester.